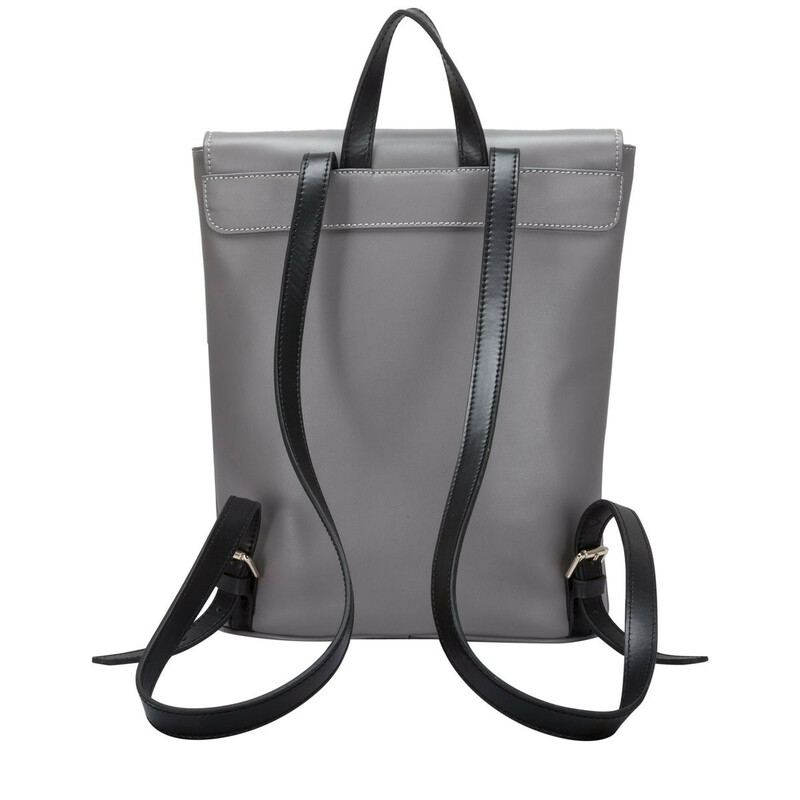 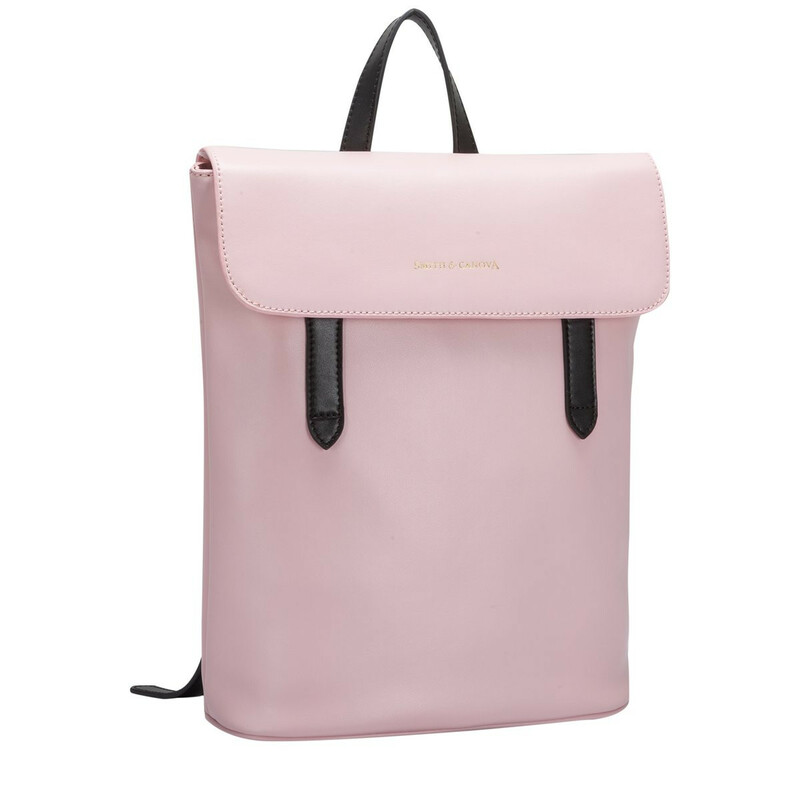 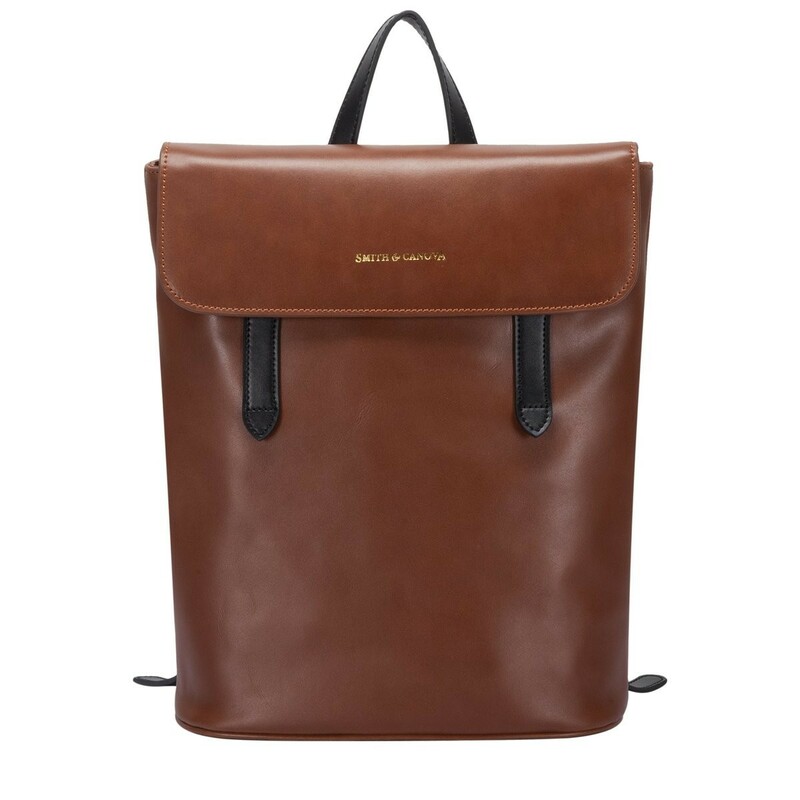 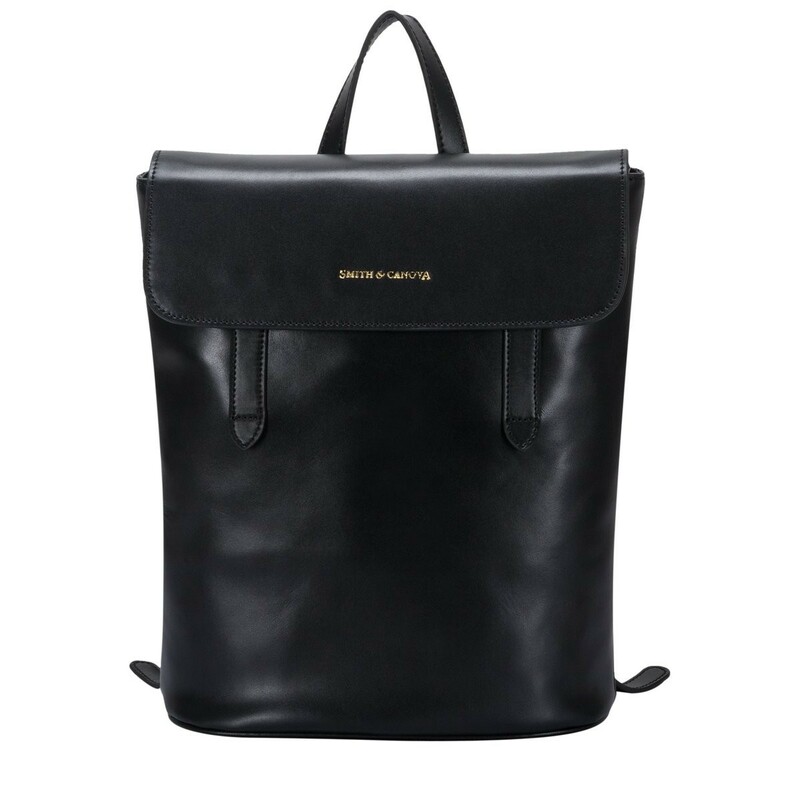 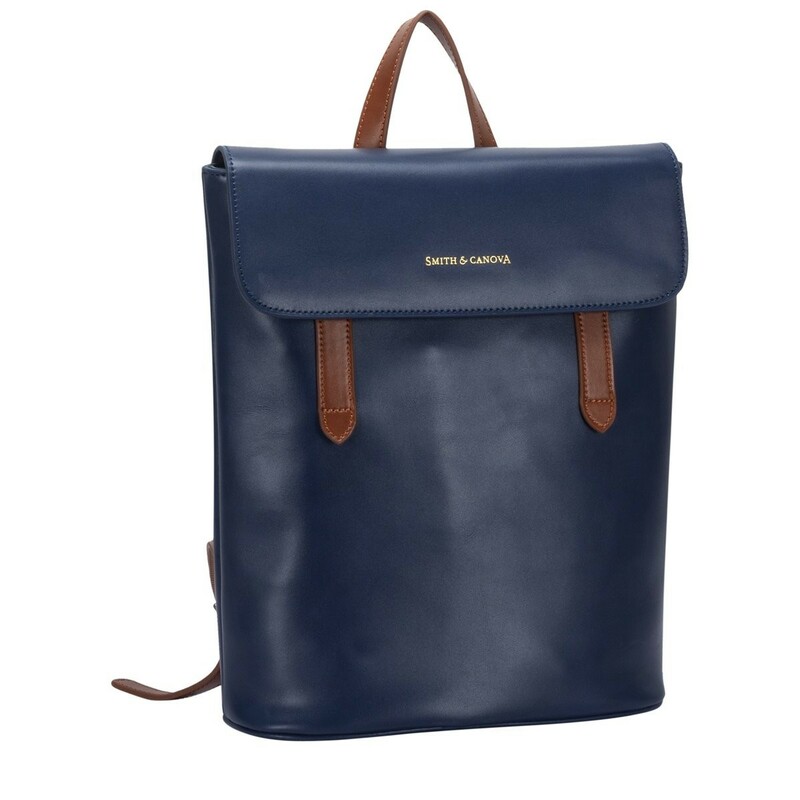 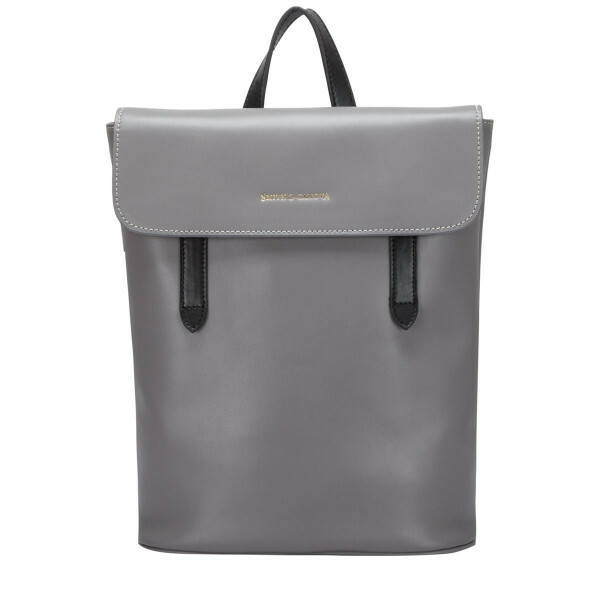 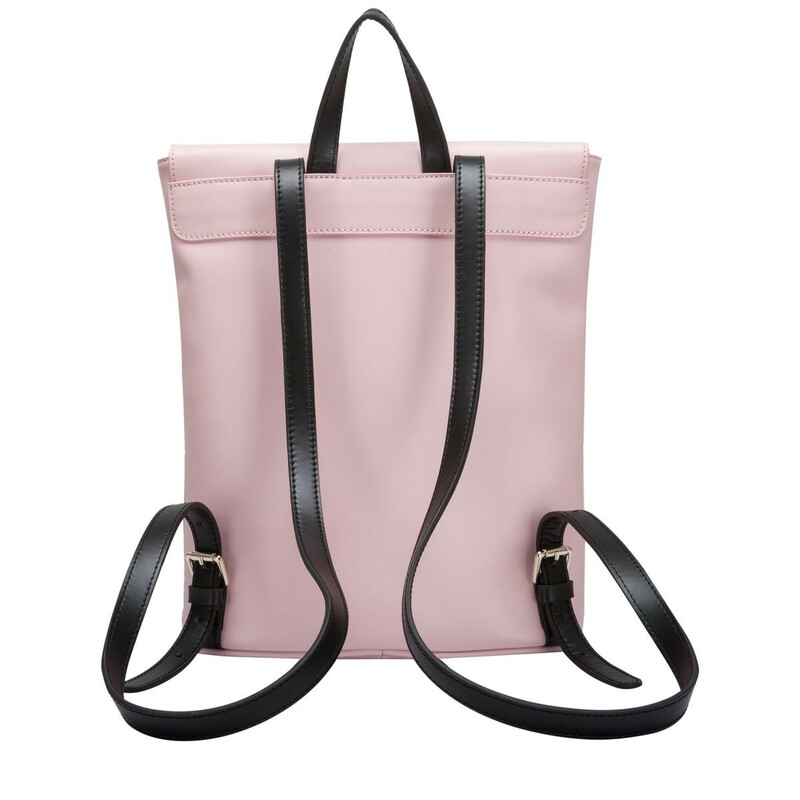 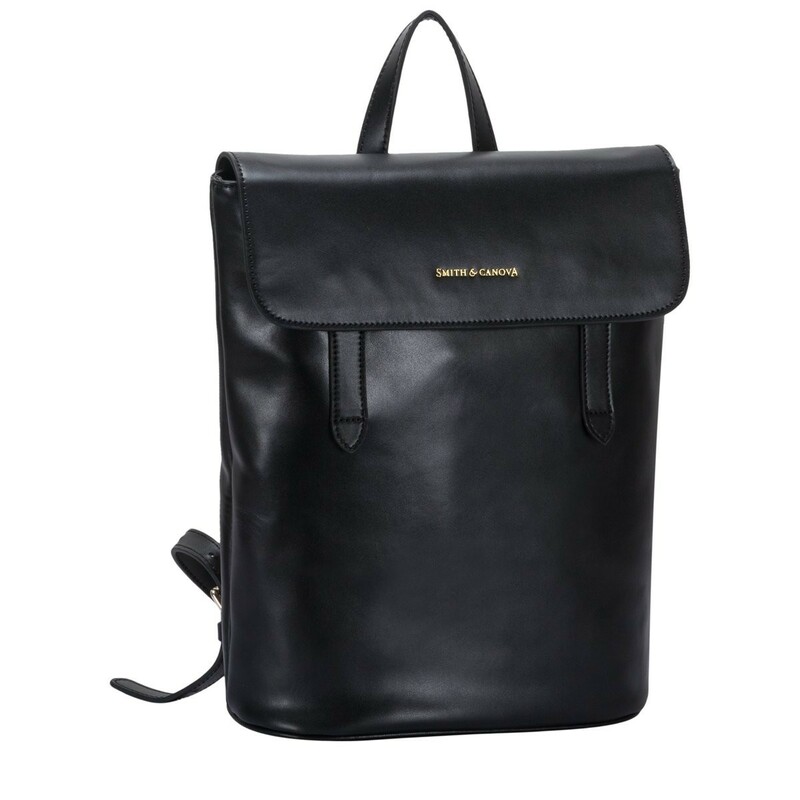 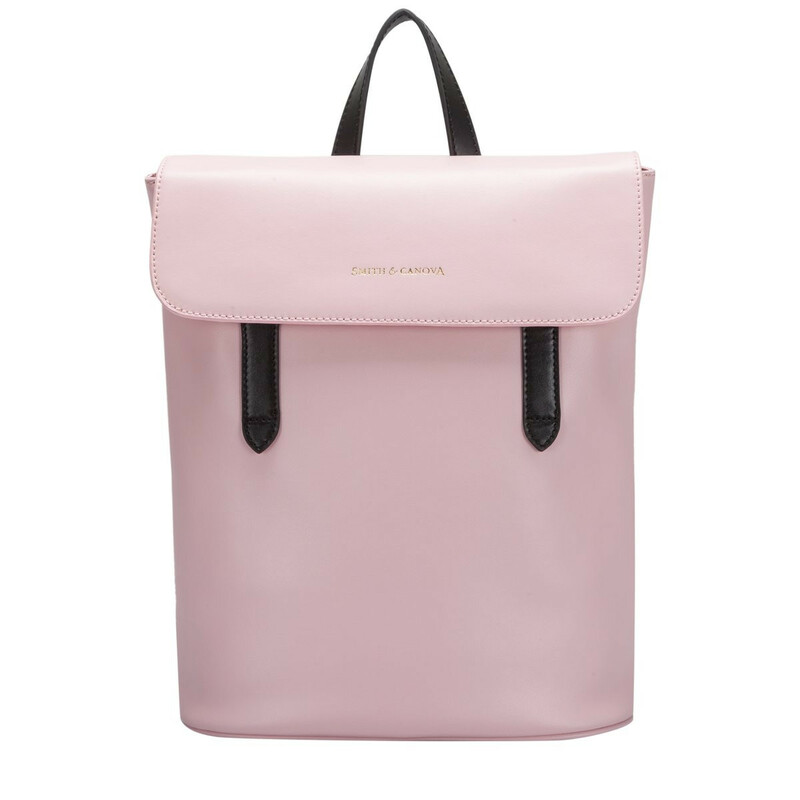 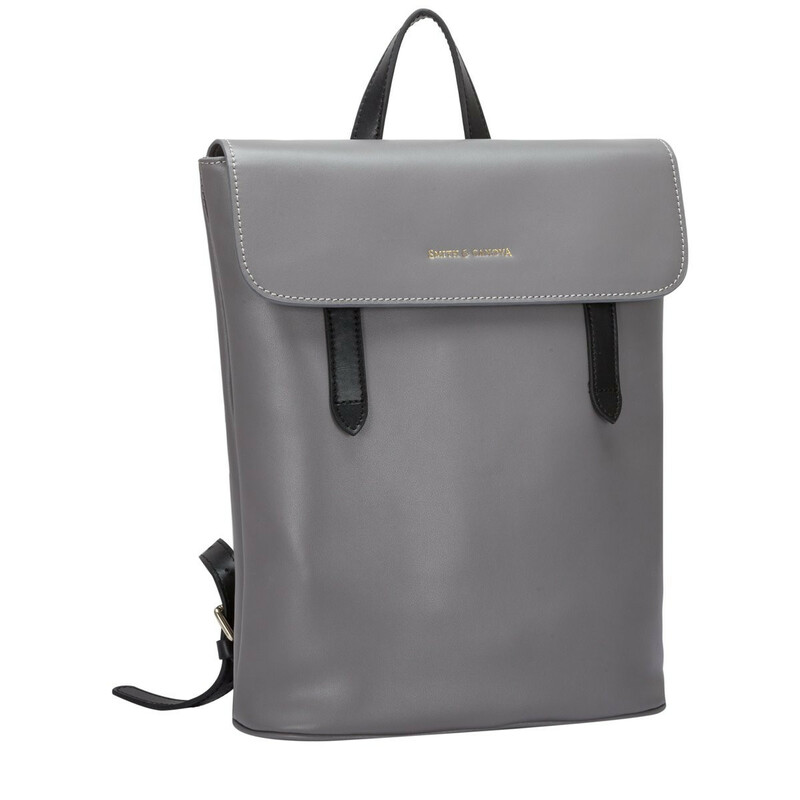 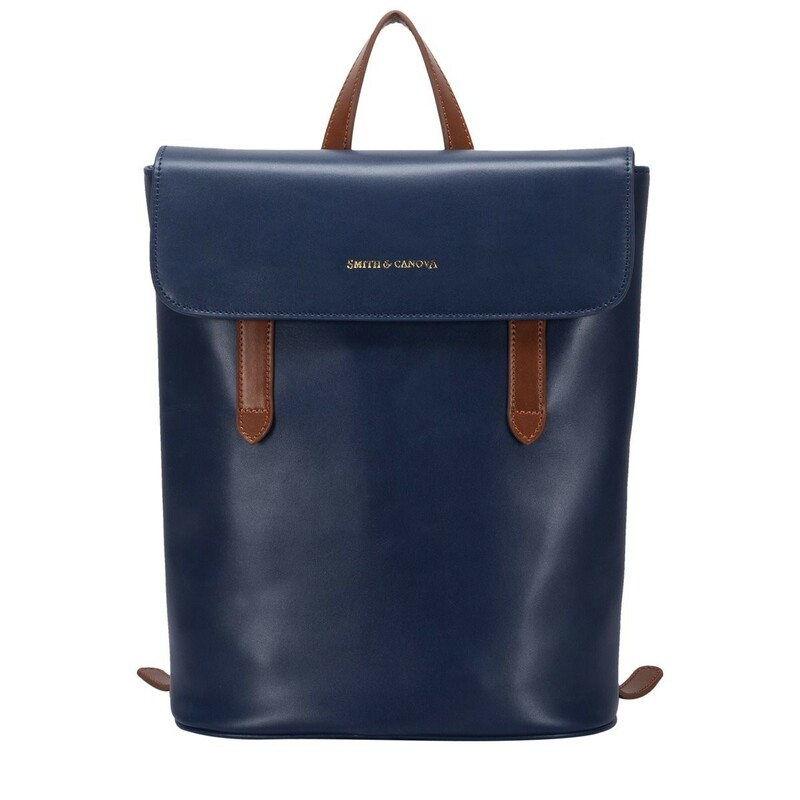 This stunning leather backpack is a classic look, updated with a stylish twist. 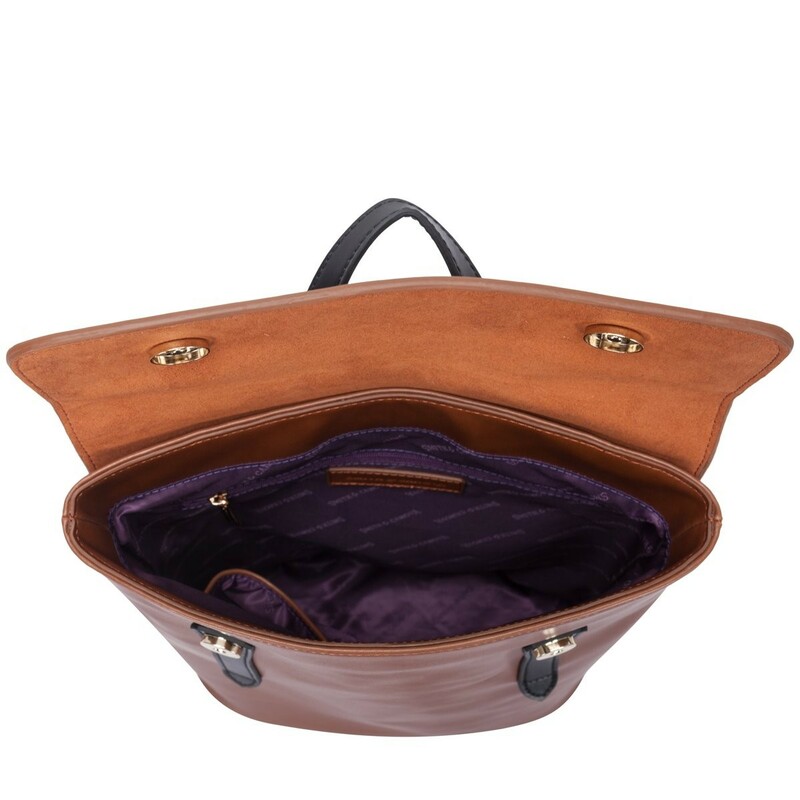 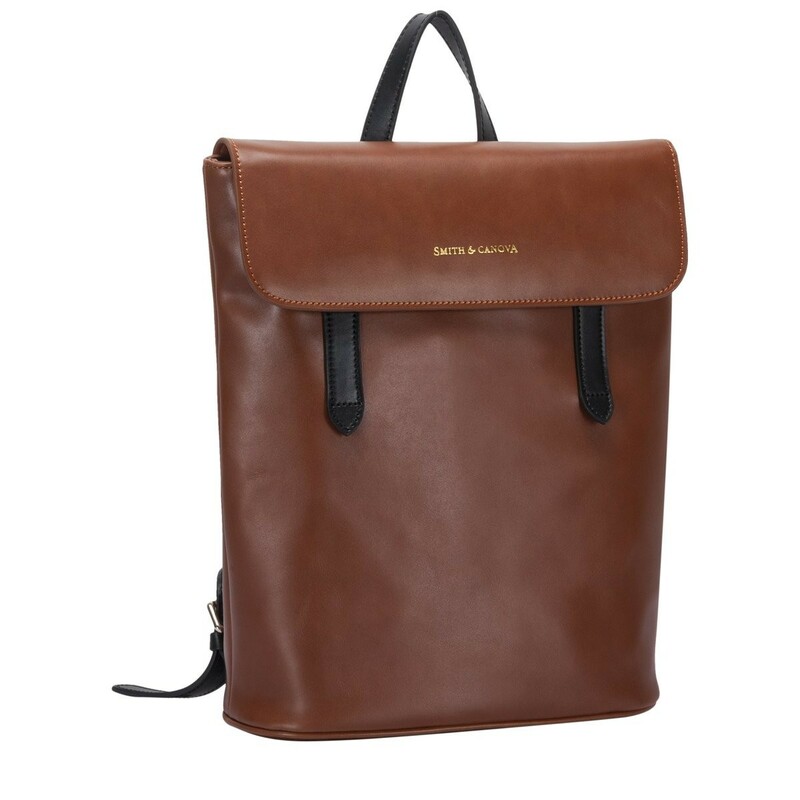 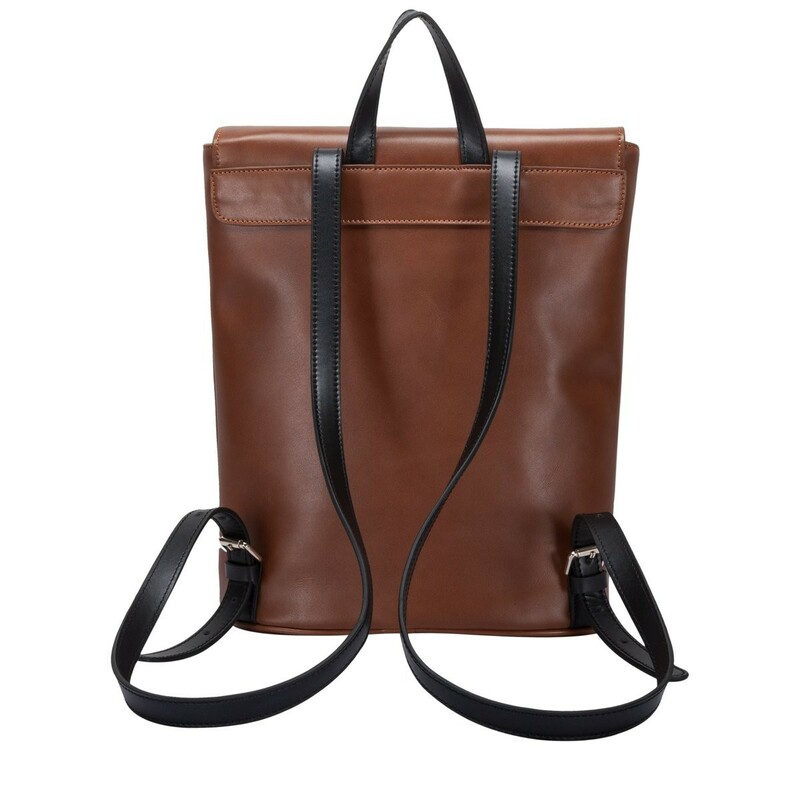 Made with smooth leather, this bag oozes style and sophistication, giving it quality crafted feel. 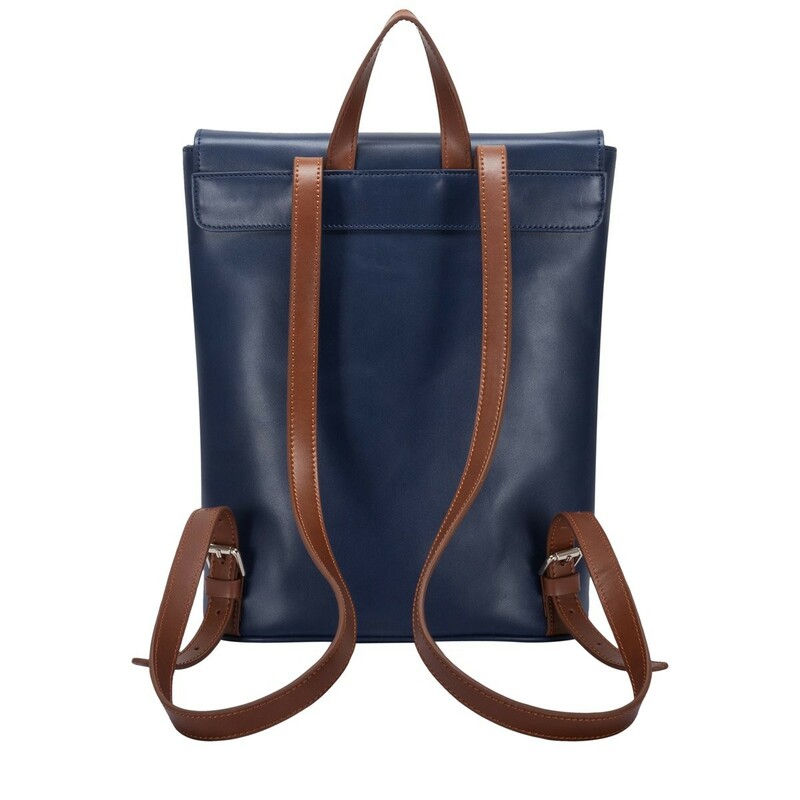 The simple design is complete with leather tabs and flashes of gold metal hardware. 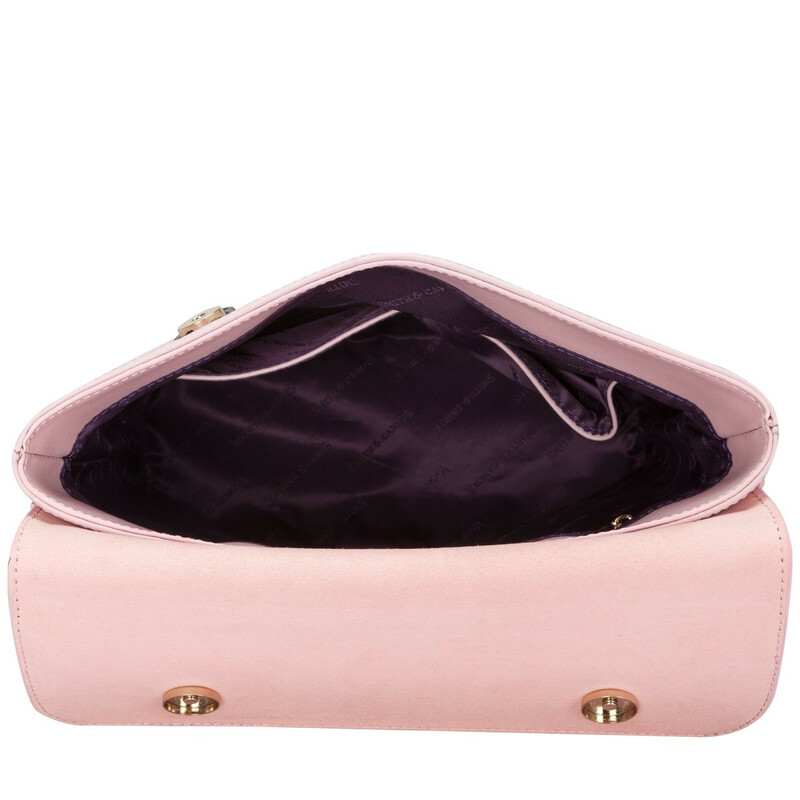 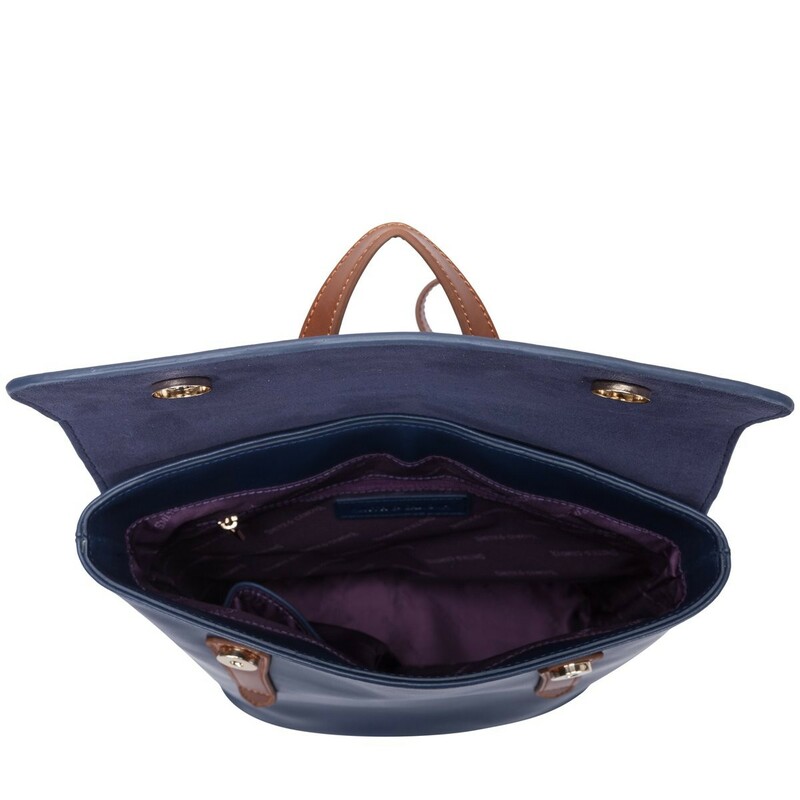 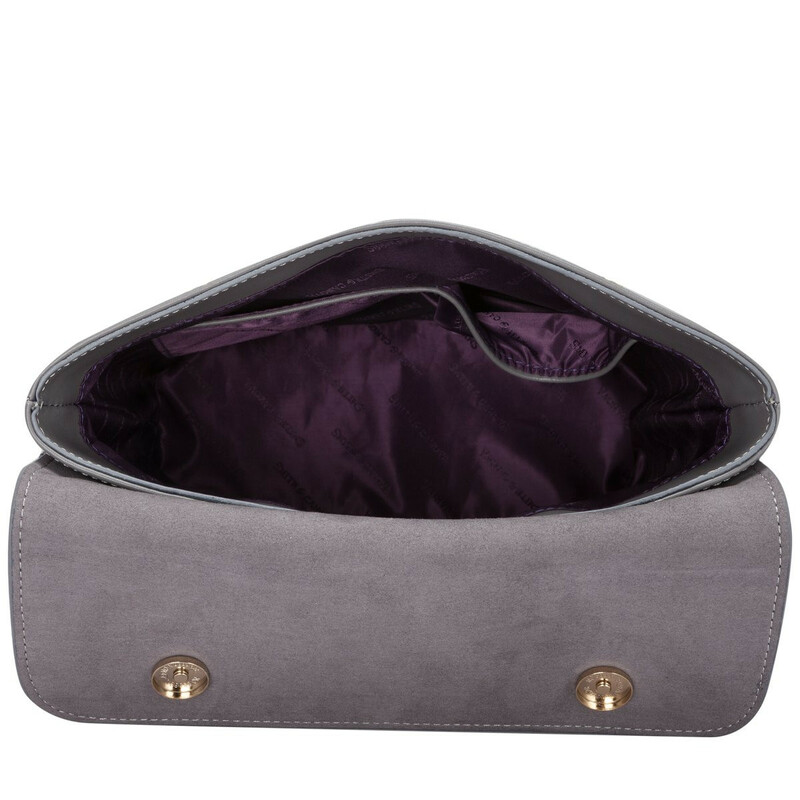 Inside reveals a Smith and Canova branded interior, complete with inner slip and zip pockets, perfect for smaller valuables.